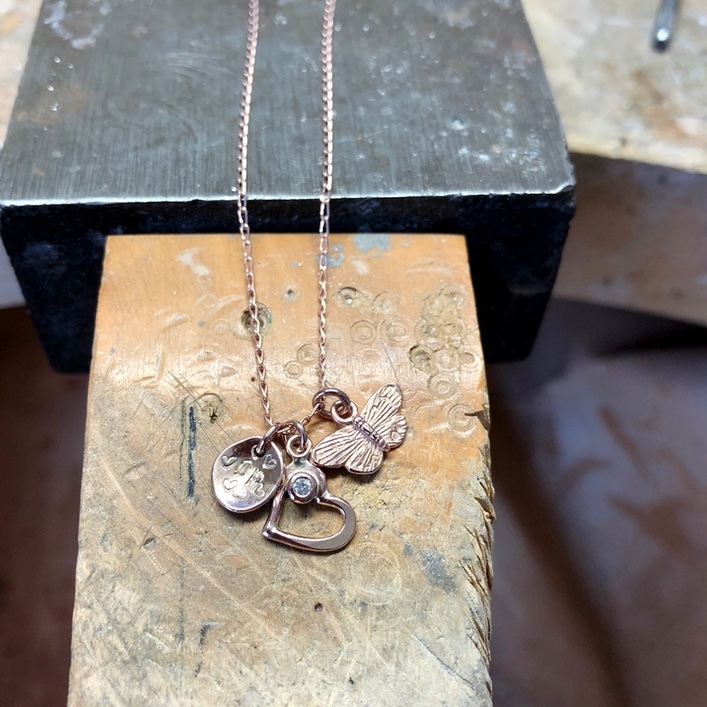 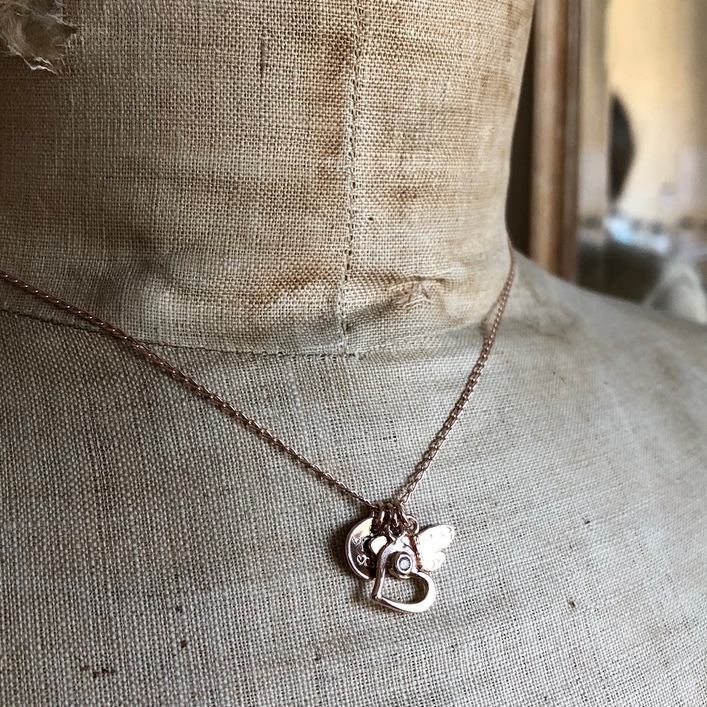 Mixing solid and plated rose gold..a solid gold open heart set with a diamond, a pod marked with their initials and one of our plated rose gold butterfly charms all hung in a cluster on a rose gold plated chain. 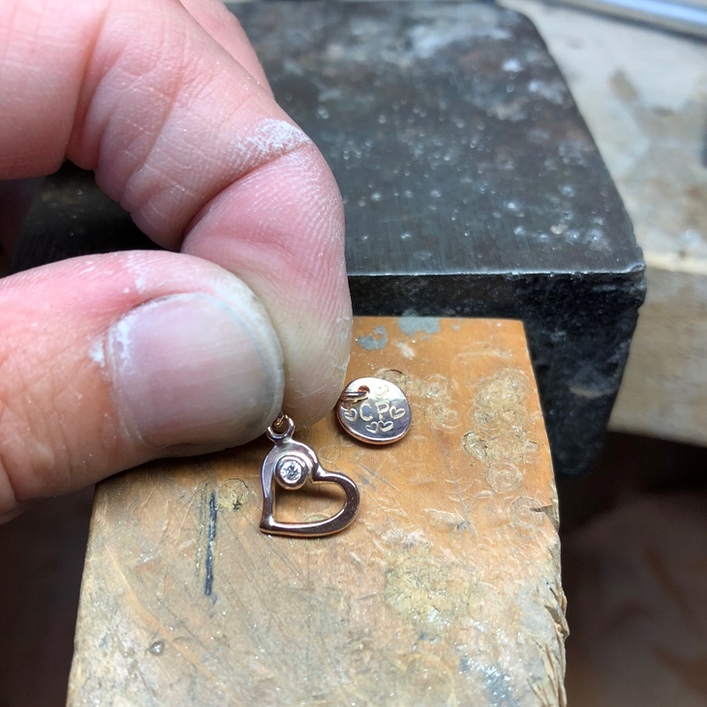 9ct rose gold open heart set with a teeny diamond alongside one of our classic pods stamped with their initials. 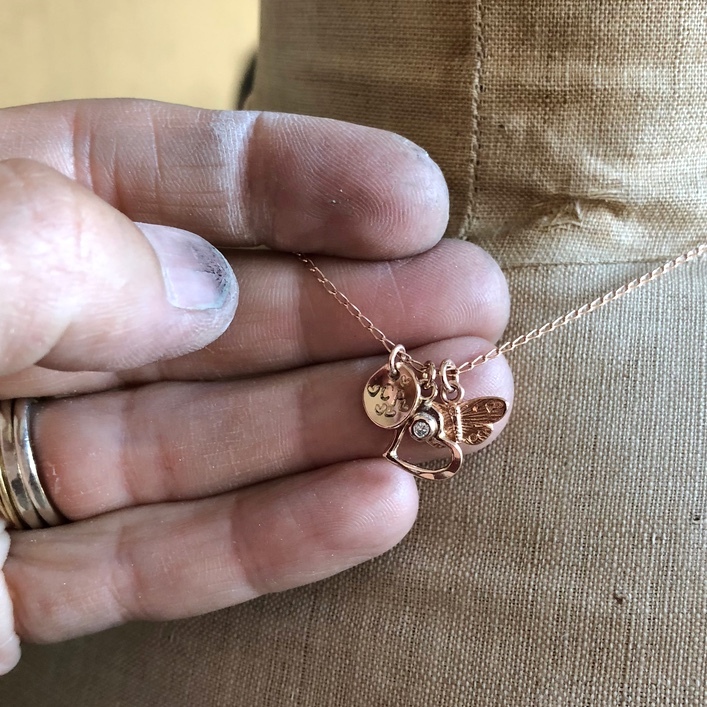 …hung in a cluster on one of our rose gold plated chains.